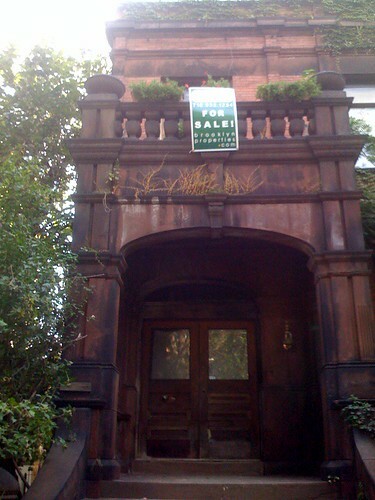 Everyone's favorite Haunted Mansion in Clinton Hill has been put up for sale!!! Rumor has it that the owner has lived here for years without electricity and heat. The yard is always overgrown, but there's always a nice selection of planters on the balcony. Brownstoner has more history and info. Apparently the place is going to need a complete gut renovation on the inside. And at $3.995M, that seems a little steep. Who has the cash for something like this? Can't wait for an open house.